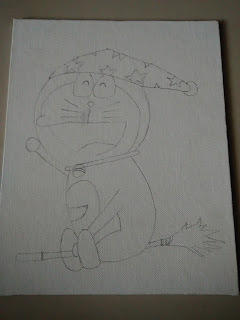 Doraemon (cat robot) is very famous cartoon and kids love it more than anything :). 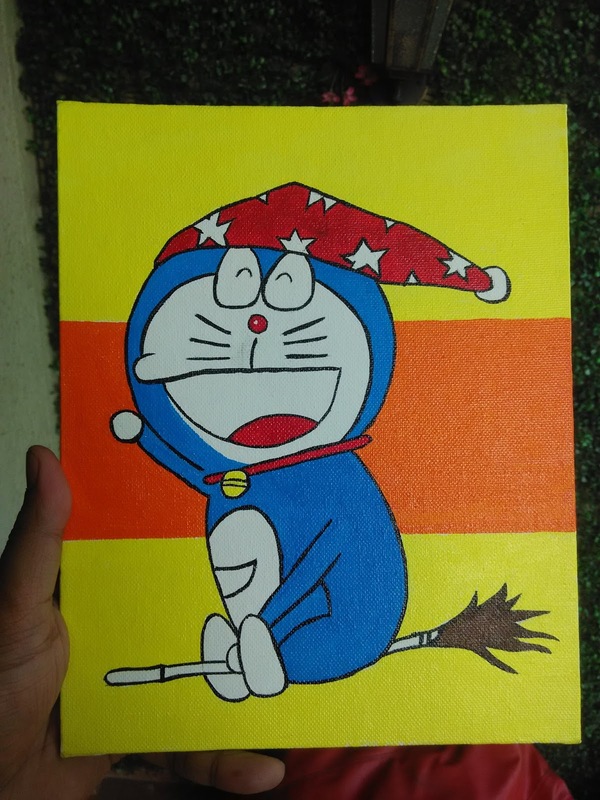 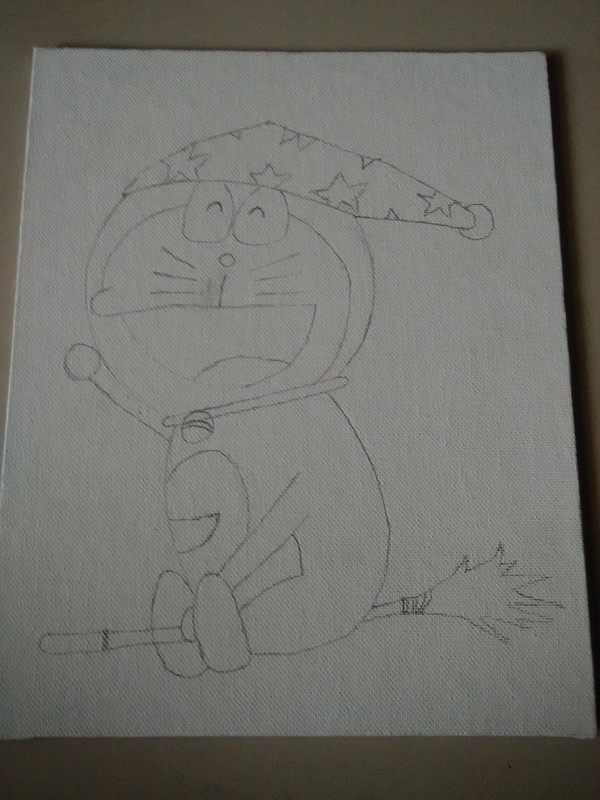 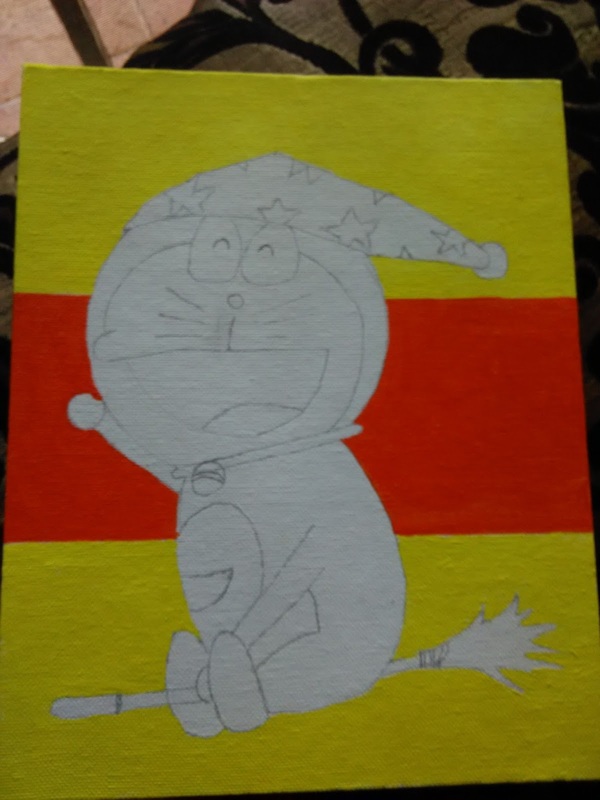 In this painting I tried to portray doraeamon in harry potter style with magic broom. 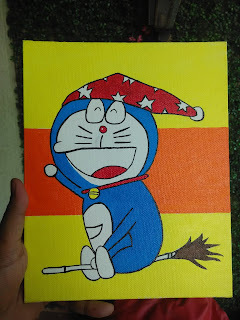 Very nice for children's room decoration specially doremon theme.